Business owners and Entrepreneurs desire nothing more than to boost their business productivity to the next levels. As such, business owners will invest in anything that enables them to increase their profit, whether for a large or small business. Fortunately, the digital era has seen to it that there are apps for almost everything including those that can enable them to increase growth. 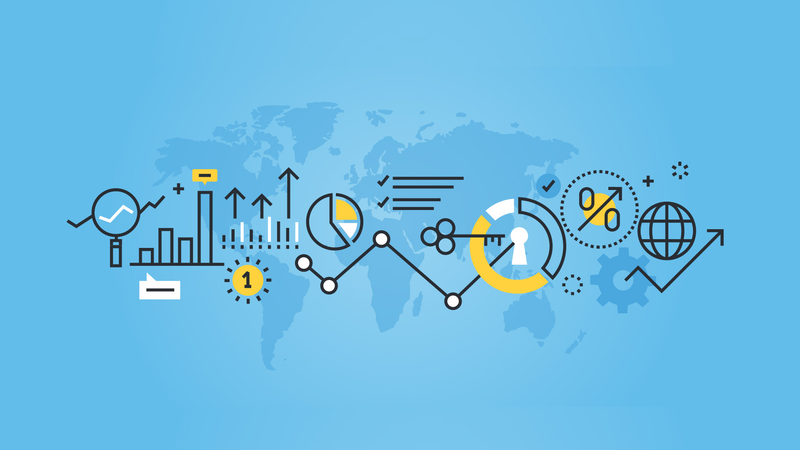 The aspect of business efficiency can be viewed in different dimensions, including the time taken to complete tasks within the business, efficiency in organization and allocation of resources, effectiveness in overall supervision or management of the business processes and the delegation of tasks to different workers in the business. The introduction of the following new and innovative apps can help business owners to boost their productivity. 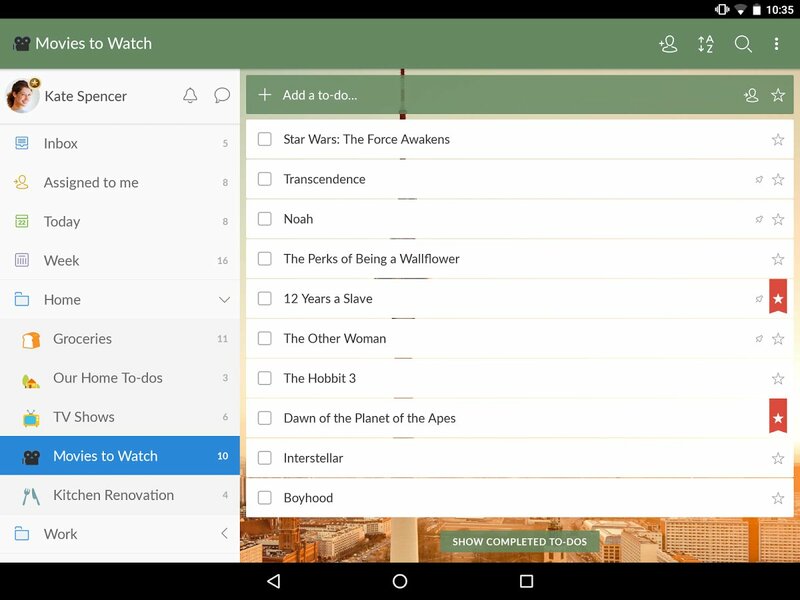 With this excellent app, you can easily create and share lists from your phone and keep all your to-do tabs on. Wunderlist comes with a Reminder to ensure that you never forget a single task, enables you to start conversations about your to-dos, delegate jobs and also attach presentations and photos. You can easily send bulk emails at once or merge emails from different platforms using this app. Also, with the follow-up service, you can have emails sent as automatic replies or send manual messages to those who responded or read your emails. While Gmail’s sending limit is 50 emails at a time, GMass helps you break that limit to about 200 emails. You can also schedule mass emails to be sent later. This is an “app to go” for any business owner who wishes to take control over his email messages. Boomerang for Gmail can enable you to schedule out when to send an email, remind you if your reply is delayed so as you can conduct proper follow-up and archive any message you would wish to take out of your inbox for later use. 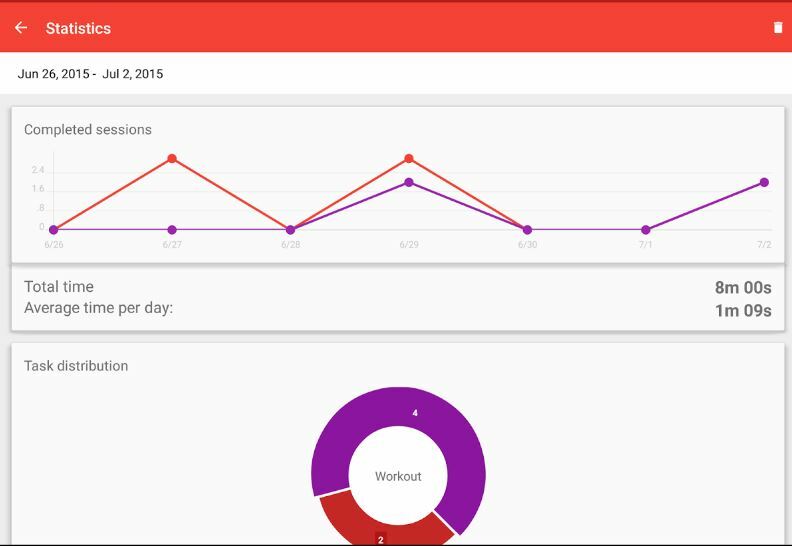 This app improves your business productivity by helping you manage your time better. Sometimes distraction might get the better part of you, and this might disrupt your working session. ِClear Focus comes in handy by alternating your work sessions with small breaks thus enabling you to concentrate more easily, focus on what is important and increase your profit. 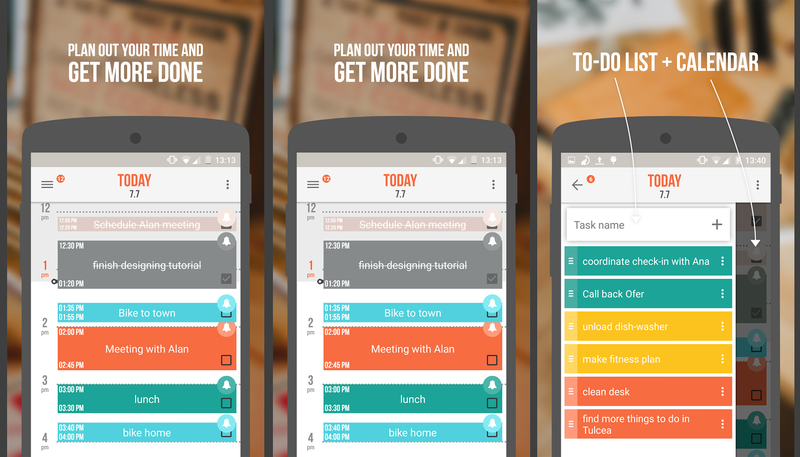 This app is useful in ensuring that it takes your task management to another level. It has a to-do list section where you put all your daily tasks and another section that helps you plan your time on a day to day basis. Accomplish easily syncs with Google calendar, comes with lots of beautiful themes and colors and efficient popup reminders. Once in a while you might find something that interests you, be it an article, a photo or a video, but due to your busy schedule, you might lack time to view it then. 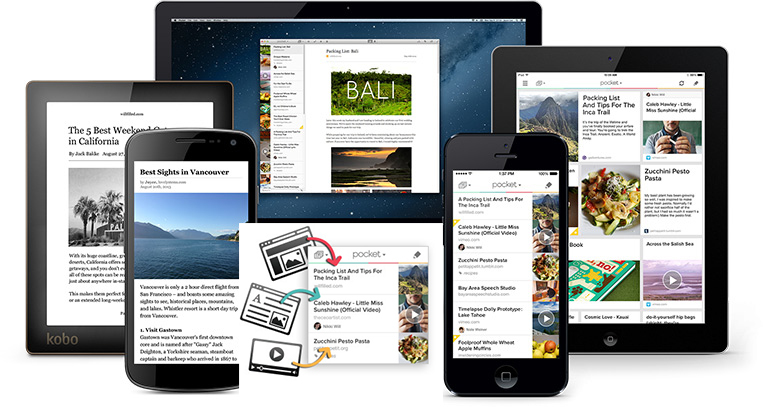 With the pocket app, you can save anything that interests you to view later. You can save stuff from your social profiles, YouTube, browser, and any apps. The best thing about Pocket is that the collected items can be viewed without an internet connection. While the free app has enough picks to get any small-business owner started, the premium version is, however, overwhelming and more reliable. Buffer allows you to take control of your social media profiles, and keep them active. 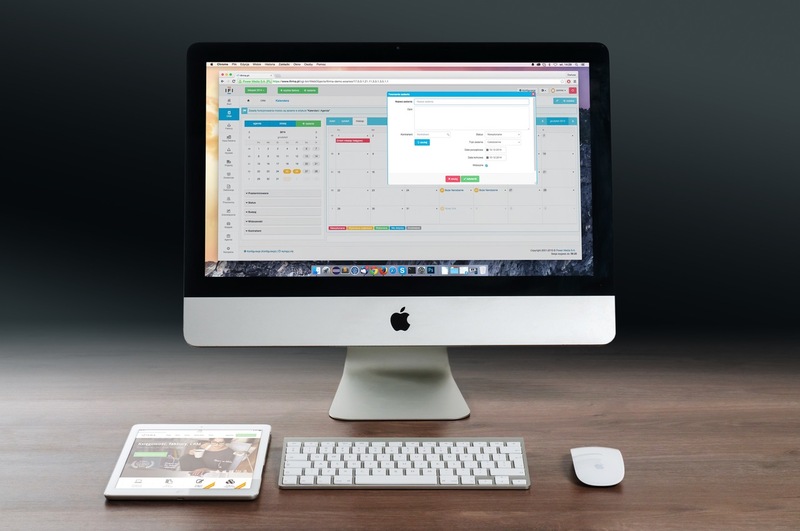 You can post across all your social media platforms with just a few clicks or use this app to schedule posts throughout the day. Communication is essential in any business operation. 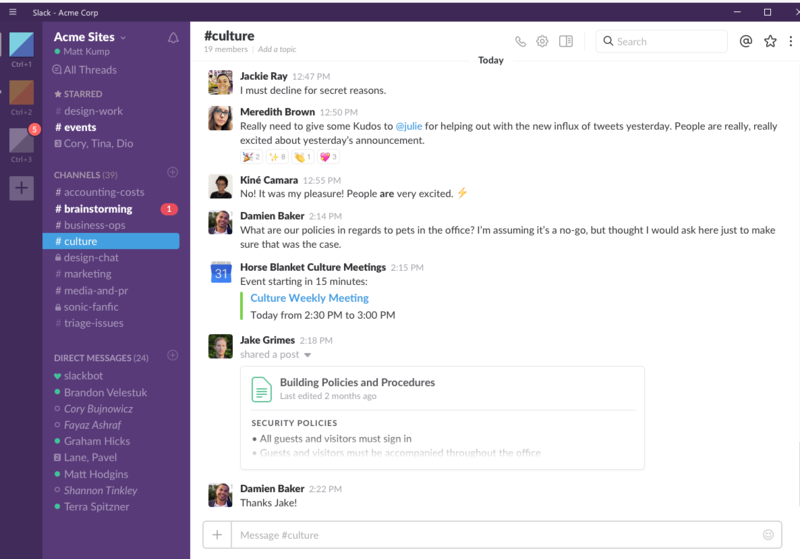 Slack is an app that facilitates communication through messaging within an organization, thus enabling delegation and assigning of tasks as well as overall supervision. The unique feature of this app is that it allows the business to arrange its contacts and conversations into distinct channels depending on the needs of the business as well as add an unlimited number of people to the add without experiencing any challenges. This app boosts growth by allowing individuals to easily and efficiently communicate. Slack is straightforward and accessible on any device including desktops and smartphones. This app is very similar to Microsoft Office Suite but is more advantageous as it allow users to collaborate on documents. This implies that if an individual is editing a document, another team member can view the editing process in real time from anywhere as long as there is an internet connection. 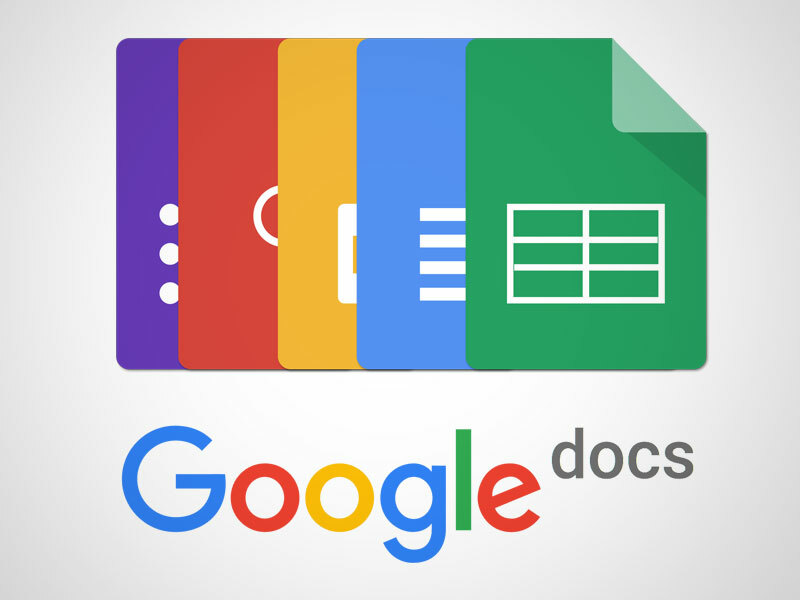 Google Docs is essentially important, especially in situations where the employees’ team up to perform certain tasks such as come up with new proposals, budgeting or marketing plans as they can all contribute without necessarily being in the same location. Saving time in carrying out activities helps in boosting business efficiency. The Dropbox app can help business owners achieve this. 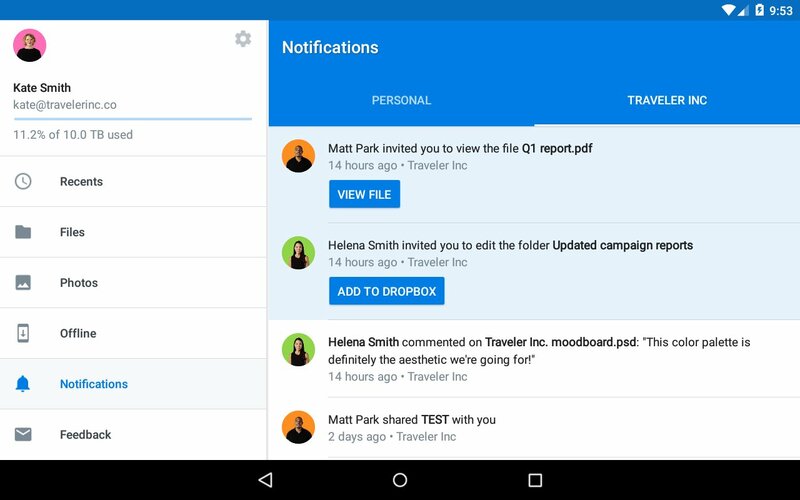 Dropbox is a secure cloud storage service that allows you to store and share documents from any device with an internet connection including smartphones. In addition to that, the app allows the user to drag and drop files into folders which can be shared within the business or even sent to clients, especially when dealing with huge folders or multiple documents. Regardless of the distance, the documents will be received instantly, thus saving the business time. Here are the 10 apps I use to help boost my productivity and free up valuable moments each day. What are your favorite productivity apps? And why you think they can be helpful for the community?